Roseberry Place is a key regeneration site on the western side of Bath. The site is located on one of the major routes into the city as well as one of the main crossing routes over the River Avon. On behalf of developer Deeley Freed, we achieved outline, and reserved matters approval for a development scheme that will create 171 new apartments, 4,500m² office space and 1,000m² convenience store all based around a landscape deck and setting. Bath’s Western Riverside has been recognised as a key zone for growth to provide essential future business space and housing. The city’s riverside master plan aims to add place, excitement and economy. As Chair of the Riverside Corridor Group, set to advise Bath and North East Somerset Council, our senior partner Edward Nash has pro-actively been involved in shaping the huge potential the river context has to offer for a number of years. 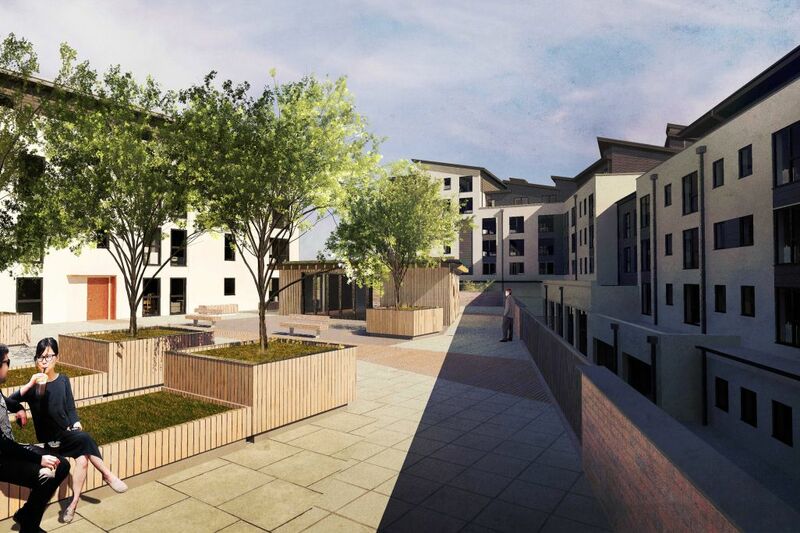 We have been working on several regeneration projects along Bath’s urban river corridor. 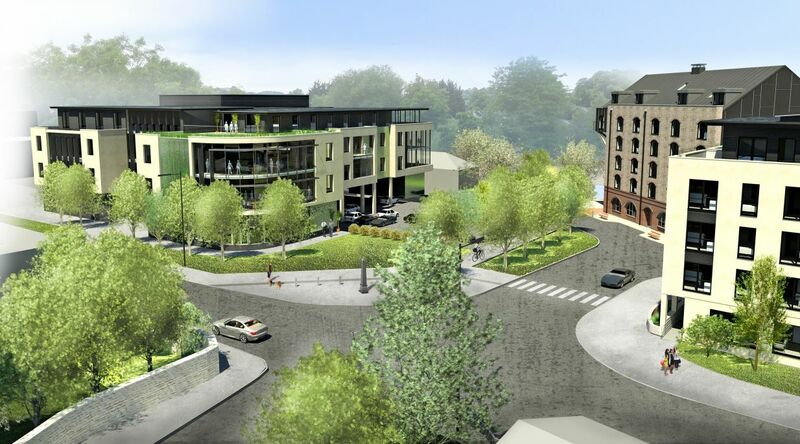 We were excited by the transformation potential that the Roseberry Place site had to offer. As a key node in the wider urban setting, the site has many interesting elements in addition to its riverside location. 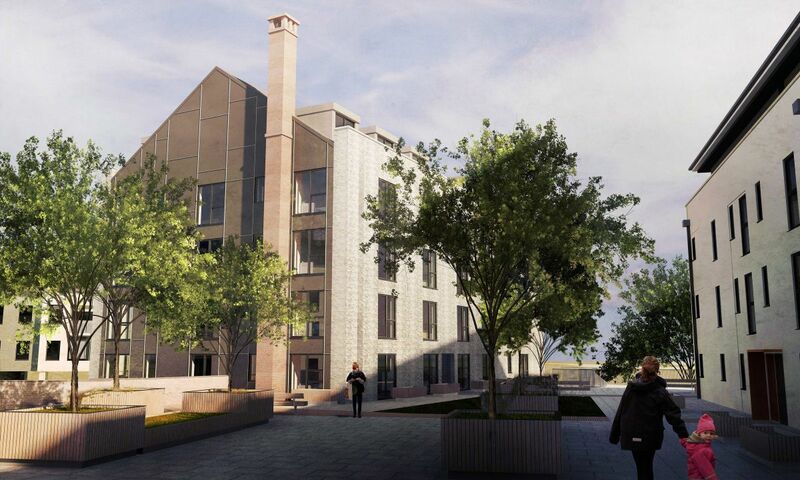 Working closely with the Council’s regeneration and development team and a wide range of specialist consultants, we created designs and proposals that balanced the aspirations of all agendas, while at the same time considering the practicalities and commercial targets of the site. 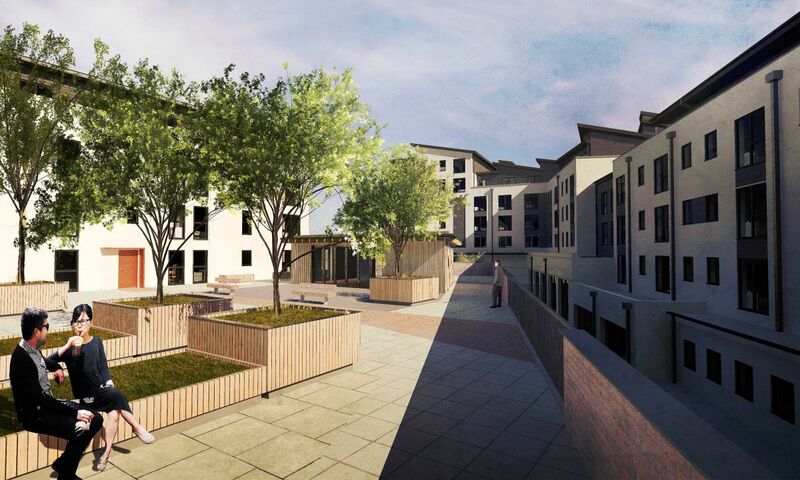 Industrial buildings will make way for vital accommodation through the Private Rental Sector (PRS) and new paths, cycle routes and road improvements are reconnecting the northern and southern sides of the river valley to improve accessibility to Bath city centre. 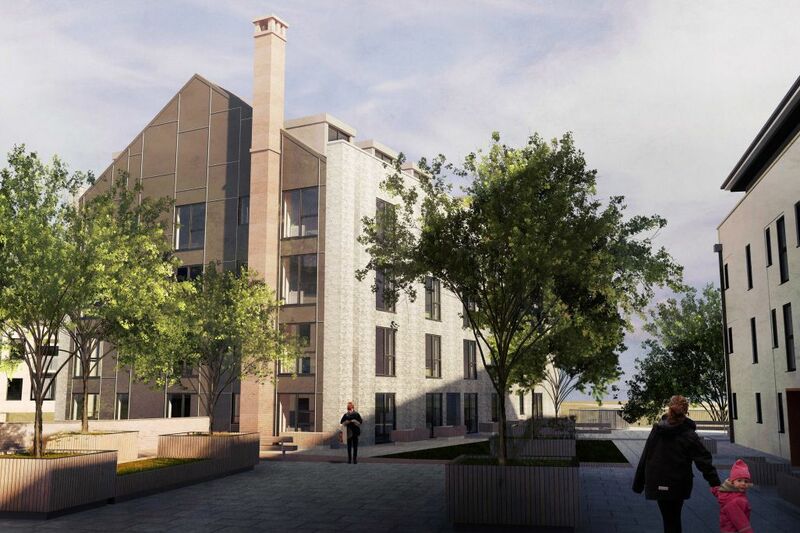 Our designs received praise by BANES committee for being imaginative, having diversity and showing an ability to stand the test of time, and as a project that should act as a blue print as an approach for other developments coming forward in key sensitive locations. The architectural concept of the scheme was driven from the desire to connect as many of the apartments, and views through the site to the river as possible. This meant the arrangement of multiple buildings rather than one larger gesture, all of a subtly varying style to respond to the immediate context that they sit within. A key ‘nodal’ building at the centre of the site that anchors the landscape deck (that covers the parking) and also frames the new green infrastructure link has a scale and robustness to it reminiscent of the warehouse style buildings that once existed on this site.